Nag Tibba means Serpents Peak, is the highest peak in lower Himalayas of Garhwal region. It also gives name to the Nag Tibba Range, which is one of the three ranges of Lesser Himalayas, the other ranges are Dhauladhar and Pir Panjal. Nagtibba is a perfect place for camping during spring and summers and one of the most suitable trek for winters, when most of the treks are closed due to heavy snow. Due to its easy access it is one of most popular weekend treks in India. Why Visit Nag Tibba Trek? Nagtibba is located at an altitude of 3025 mts and attracts thousands of tourists every year. Nagtibba offers majestic scenic beauty and a good trek for adventure lovers. 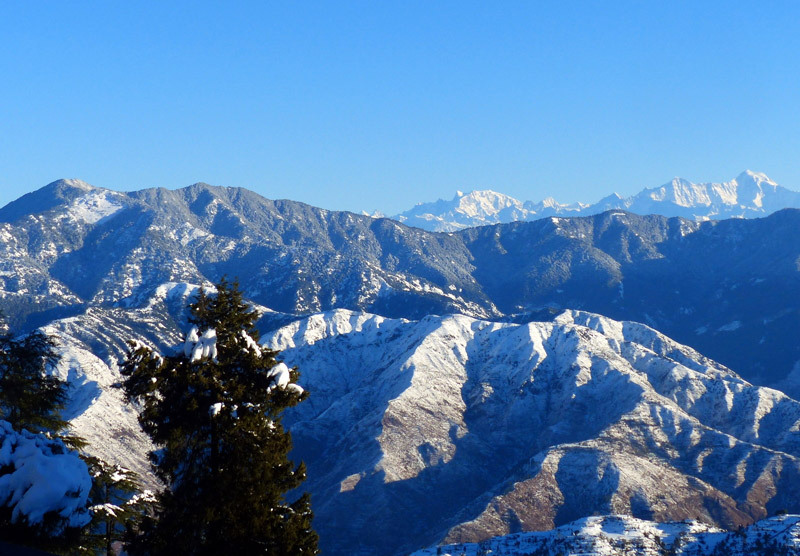 From Nag Tibba one can see the clear view of stunning Bandarpoonch peak, the Gangotri group of peaks, Kedarnath peak in the north, Doon valley and the snow peaks of Chanabang. 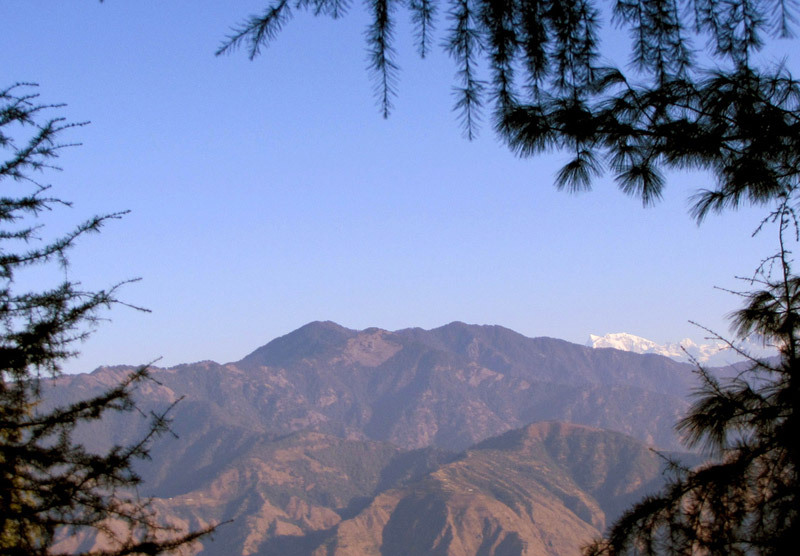 Weekend Trek: It is a Ideal weekend trek from Delhi and Dehradun. It is a trekking destination which could be done in 2-3 days starting from Delhi. Easy and Short Trek: It is one of the easiest trek and best suitable for beginners. Safety: One of the safest trek, as being close to Mussoorie and Dehradun, with no rivers for floods or does not have any history of landslides. There are 3 trekking routes which are used to reach the summit of Nag Tibba. The details of trek route is given below. The trek to Nag Tibba starts from Devalsari (13 kms) where one can stay Foresh Guest House by taking permission from the Mussoorie Forest Office. You can trek further for 3 kms to Nag tibba top which offers a breathtaking view of the Himalayas. 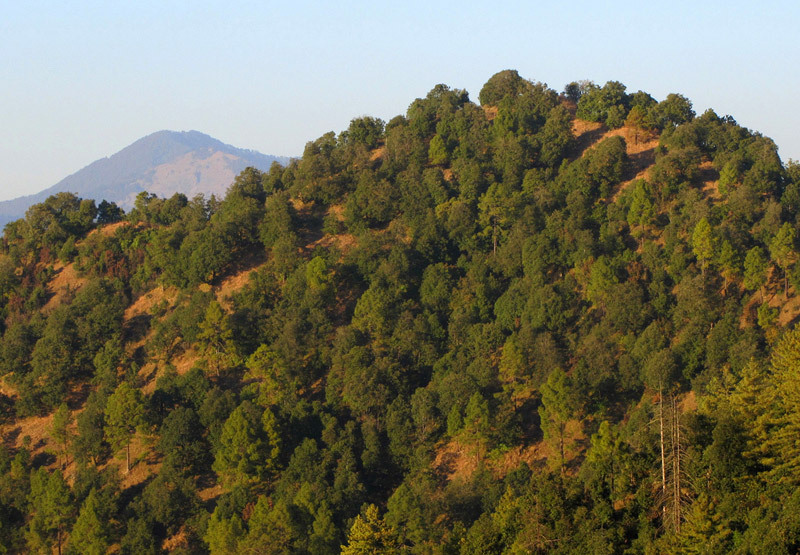 The route goes through the thick deodar forest and reaches to the remote place with almost no habitation. This is the most used route for trekkers to reach Nag Tibba base camp and summit. Pantwari village is 50 Kms by road from Mussoorie and 85 Kms from Dehradun. It is one the shortest route to reach Nag Tibba (just 8 Kms) from Panthwari village. Though the route is is little complicated and requires a guide. The motorable route via Thatyur goes all the way up near bridle path near Aunter. From here you walk up to the ridge top to Aunter, from here the route is quite straight with few slopes. Day 2: Nag Tibba Temple to Nag Tibba top and return to Nag tibba base camp. Day 3: Trek down to Pantwari Village and drive to Dehradun. Trekking: The whole trek route to Nag Tibba involves easy trekking that takes 5-6 hours to complete. The trail takes one through enchanting lush green valleys, hushed hamlets, and conifers and oak forests. Trek to Nag Tibba via Pantwari is shorter (8km) as compared to Devalsari route (13km). Photography: Nag Tibba offers ample opportunities for nature photography and astro-photography. The clear dark nights are ideal constitution to capture some star trails and the mesmerizing Milky Way. Camping: Camping under the clear night sky with a bonfire beside the lake is an experience to remember at Nag Tibba. It offers various beautiful locations where a group of friends can erect a tent and start a campfire. Nag Tibba is a perfect weekend trek from Delhi and Dehradun. This trek is recommended for beginners. It is highly recommended to have an experienced guide to accompany you on your trek. Nearest working ATM you will find at Mussoorie, but we recommend try to use any ATM in Dehradun. As most of the times Mussoorie is too crowded and a lot time will be consumed if you look out for ATM in Mussoorie. Nag Tibba peak doesn’t have any accommodation options and trekkers have to camp at Nag Tibba Base Camp to stay the night. Travelers usually bring their own camping equipments or are supplied by the trek operators. One can find few budget guesthouses at Devalsari or Pantwari depending on which trek route is taken. However there is one Forest Rest House at the base camp of Nag Tibba Trek, one can stay over there by taking permission from Mussoorie Forest Office. There is no food stall or even a tea stall at this elevation. Trekkers usually bring their own food supplies. If you are trekking with a group, it is advisable to find a local cook to travel with you so he can prepare meal for you when you halt and set up camp for the night. Also, carry some packaged food with you as a light snack for the route. The first name Nag refers to 'snake' and Tibba refers to 'hill or peak' in the local language. According to the religious beliefs of the local populace, Nag Tibba is the abode of ‘Nag Devta’, a Hindu mythological character that is worshiped by the devotees. Local villagers come here to offer their prayers to the Nag Devta for the protection of their cattle. Q: Is Nag Tibba trek good for beginners and what is the difficulty level? A: Yes, it is a perfect trek for the beginners. Trekking at Nagtibba is not difficult can be done easily by first time trekkers. Q: What is the best time Nag Tibba trek? A: The best time to trek to Nag Tibba is February to mid-June, and mid-September to end-November. If you want an easy snow trek then Last week of December and January are good time. This is is an easy trek and the best weekend break to revitalize you. Q: Will there be mobile connectivity? A: Mobile connectivity will be very low and no Internet services. You will not have any mobile signals at the Nag Tibba Summit top. However, on the way, you can get some broken signals of some network providers. Make sure to make all important call till Mussoorie, after that mobile network is week. Important Note: water is scarce along the route and it is recommend to carry enough water for the trek. What is Nag Tibba famous for? Nag Tibba is famous among tourist as Trekking . Nag Tibba is recommended destination for Corporates, Couples, Family and Kids, Foreigners, Groups, Solo. Nag Tibba is popular destination for following activities/ interests - Adventure, Camping, Emerging Destinations, Hiking, Meadows, Trekking, Weekend Getaway, Winter Treks. Travelling to Nag Tibba in 2019? Contact us for planning your Nag Tibba tour with best travel packages of as per your requirements!